"The fallow years when my father left for England to fight a war with cardboard in his shoes! Traditional Irish Republican Ruairí Ó Brádaigh passed away today at the age 80. Ruairí Ó Brádaigh was probably the most significant figure in the Irish Republican movement in Ireland since the war of Independence and besides being Former IRA Chief of Staff served as President of both Sinn Féin and Republican Sinn Féin respectively. I used to meet him at meetings in Castleblayney yeas ago and besides leaving a very strong impression on me, the last one he left with me, was the critical importance of our heritage. I wondered about his commitment to the socialist part of Irish republicanism and his reply was an Irish form of socialism. Born in Longford in 1932 to a republican family, Ruairí Ó Brádaigh studied at UCD where he gained a degree in commerce. During his time at UCD he became involved with Sinn Féin and joined the IRA, of which his father had also been a member. Althoughr by profession a teache, Ruairí spent most of his time as a training officer for the IRA and in 1954 appointed to the Military Council of the IRA, eventually being IRA Chief of Staff until 1962. He was elected as Sinn Féin TD in the Longford – Westmeath constituency in 1957. In 1970 Ruarai Ó Brádaigh led the walkout from the Sinn Féin Ard Fheis after the majority voted in favour of the abolition of Sinn Féin’s policy of abstention. He became President of Provisional Sinn Féin which he held until his resignation in 1983. In 1986, Ruarai Ó Brádaigh again led a walk out, this time from the Provisonal Sinn Féin Ard Fheis, when they voted to drop the abstention policy. He and several supporters established Republican Sinn Féin and once again was appointed President until 2009 when he was succeeded by Des Dalton. Ruarai Ó Brádaigh was arrested, imprisoned and interned many times throughout his life, for his actions and involvement with the IRA. He was perhaps best known for a hard line republican view particularly opposed to decommissioning by the Provisional IRA as part of the Good Friday Agreement. "This book belongs on all shelves, in all libraries, in all schools.This is the story of a man, a movement who toiled on, against all odds, who stayed with his choices, he is not the last Republican, he has been a custodian of Republicanism, for generations yet to come. Read this book again and again." 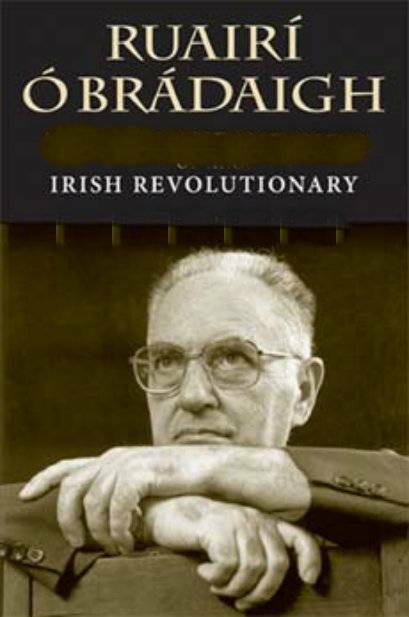 There is not a time in my remembered history within the family of Republicanism that I did not know the name Ruari O' Bradaigh. As a child, and later as a girl, I knew him as Mr. O'Bradaigh and I sat silently in the presence of my elders listening to stories of daring and struggle that had been the lot of Republicans throughout the ages. Ruairi O'Bradaigh figured often in these tales. It is in the nature of life, of tgrowing up, of having 'done one's bit' that I can now call him ''Ruairi'' as he calls me 'Dolours'. The years and the deeds have brought some form of equality of status between us. My respect for him has never faltered and I like to think that I, in my turn have earned his respect also. It was in Monkstown Culturlann that a biography of Ruairi was being launched. I rarely attend such affairs but the spirit moved me. The biography by Professor Robert W. White, an American academic, looked impressive and copious copies were being signed by the subject himself, by the author and by anyone who felt a part of this period of Republican history. The fallow years when my father left for England to fight a war with cardboard in his shoes! A look around the room took me back to Bodenstown commerations of many years agto, men still staunch but grown bent by the years and hard times in and out of prisons. Still true to the Faith as Ruairi would define it. Bob White astounded me by the depth of research he poured into this work; names that I thought I had long since forgotten popped up regularly and a history I once thought I knew back to front became a whole new experience for me. 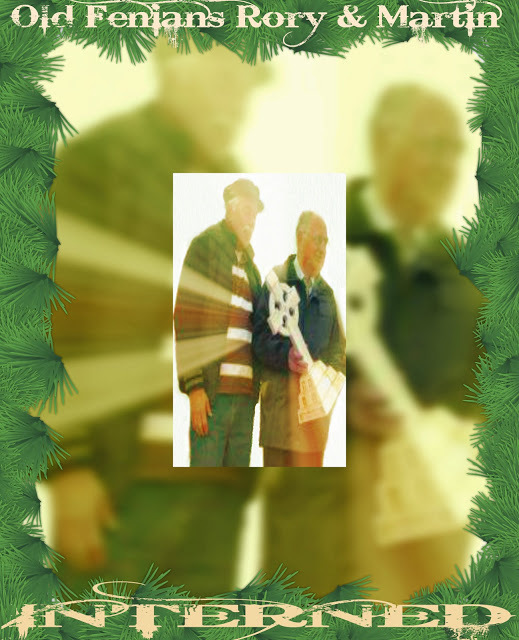 Having heard it all, as I thought , at my father's knee - I realised I had only heard a bit. Pieces, chunks, fell into place, some were elating and some were more depressing than even I could have imagined having lived through this time of deceit, double dealing and sell-outs. It was always there. Yes history does repeat itself! 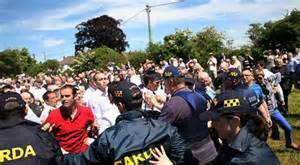 Cathal Goulding, when the subject of constitutional politics, was first raised by the Official Movement is quoted as saying, ''We'll never take Ruairi with us'', they never did, nor did Gerry Adams. This easily read book makes that clear, this is a man who stood and stands in the face of others, willing to compromise, to cut corners, to convince themselves of the ''unimportance'' of the extremely ''important'' positions. This vast work of academic and personal achievement will be read and re-read, will be thumbed by students, other academics, politicians and those who wish to know the real truth. The intrigue the 'fixing' of conventions, the devious dealings of those full of self concern and importance, the would be ''democract'' all is laid bare and makes for riveting, yet depressing reading. Bob White describes Ruairi as the ''last Republican'', I think Ruairi would agree with me when I say I believe this to be not true. There are many of us, slightly younger, and many younger again who hold true to Republicanism as Ruairi defined it in 1950. We will always have our small differences (that is part of being a Republican) but overall we are united, no more so than now against the Good Friday debacle. Asked would he make money from this book Rurai laughed and said, ''Sure when did Republicans ever make money?''. This is not a heavy tome to be laboured over, rather it brings a smile on every other page. They were not the greatest organiisers in the world of war and revolution but what they lacked in expertise they made up for with pure heart and cardboard in their shoes. Had I been asked to undertake a work of this magnitude I would have shriveled at the thought. Bob White did not, thankfully, and we now have a very important record, not just of one man's life, but of a whole period of Irish history for too long neglected. This book belongs on all shelves, in all libraries, in all schools.This is the story of a man, a movement who toiled on, against all odds, who stayed with his choices, he is not the last Republican, he has been a custodian of Republicanism, for generations yet to come. Read this book again and again." 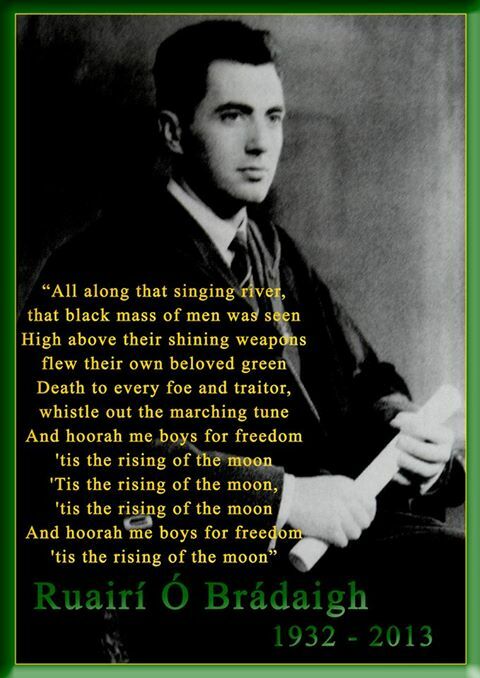 One of the greatest Irishmen of the 20th century. Ar dheis Dé go raibh a anam uasal. 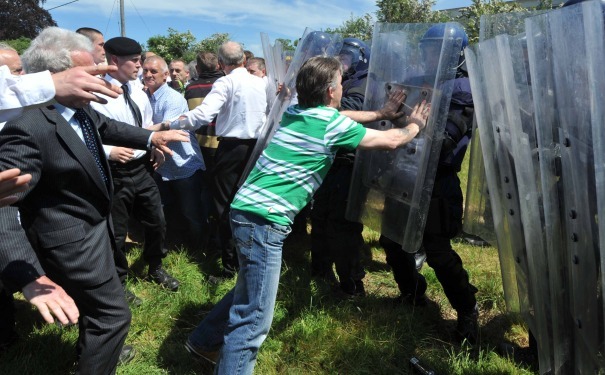 Rest in peace Ruarí after a life of fighting for Éire. We are balanced on the brink of a cataclysmic precipice. The word 'freedom' has become synonymous in the land of the status quo with greedy pre-conceived perceptions of gain and all of the crap that goes with such maligned thinking. As an English-born man who has insight, I cannot see a future for the world of humanity as it stands. Until we are rid of those who value their ill-determined visuallisation of the one life we are blessed with - well, you tell me, what possible hope is there? Funeral arrangements (and Dublin bus re same). Funeral arrangements : Reposing at Smyth’s Funeral Home, Roscommon on Friday 7th June from 5.30pm to 8.00pm followed by Removal to the Sacred Heart Church. Requiem Mass on Saturday at 11.30am with Burial afterwards in St. Coman’s Cemetery. Family Flowers only. House private Saturday morning. Donations, if desired, to CABHAIR (Irish Republican Prisoners’ Dependants Fund), 223 Parnell St., Dublin 1 and to the Roscommon-Mayo Hospice. Ruairí Ó Bradáigh : 2nd October 1932 - 5th June 2013. RIP. Ruairí Ó Brádaigh will be waked at the family home in Roscommon from 1pm, Thursday, June 6 to 1pm Friday June7. He will then be taken to Pat Smith's Funeral Home in Roscommon until 8pm when he will be taken to Church. He will be buried in St Coman's Cemetery after Mass on Saturday. Mass not confirmed but will probably be 12noon. The man lived to 80 and died peacefully in his bed. Good for him. But the very many often totally innocent victims of the particular campaigns of violence he was involved with, promoted and egged on since the 1950s did not have that choice. 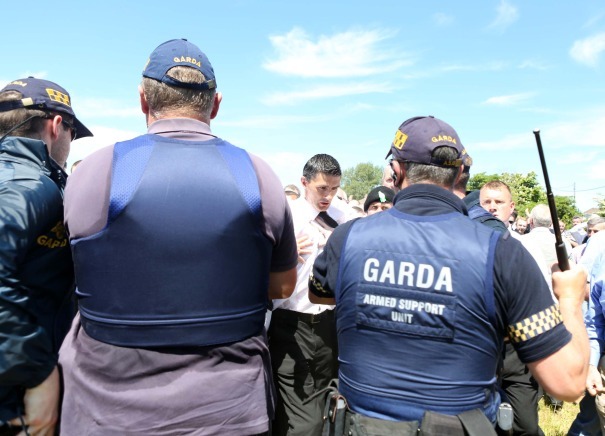 Only recently he was on TV effectively excusing the attack on the Mountbatten boating party in Sligo- a sneaky and murderous attack in the Republic of Ireland resulting in the death of two very old people and two young boys. Moreover the bombers would have seen the children in the boat but went ahead anyway. This syndrome of placing lethal militant republican objectives above any consideration of humanitarian and decent values should be questioned before we laud the authors and defenders of that cult too much. I was deeply saddened to hear of the death of Ruairí Ó Brádaigh – a most patriotic man (whenever I thought of him as a young person growing up in Co Roscommon, I could not help but think about that great fenian leader John O’Leary – I admired him for his patriotism and dedication, and perseverance, he fought on, when others in the county abandoned it. Ruairí Ó Brádaigh was a man with a great love for his country and its culture. Ruairí Ó Brádaigh was an intelligent gentleman (and he certainly was a gentleman, always respectful and polite to me on the rare occasions I got to speak to him, a most rare man). I am so glad I got a signed copy of his book with a message on it and got a chance to speak to him at the Ruairí Ó Brádaigh book launch in Cultúrlann, Comhaltas, Monkstown - many thanks to Tim Pat Coogan too for signing it too (if I had known he would have been there too, I would have brought one of my Tim Pat Coogan books :). Ruairí Ó Brádaigh was a man of courage and conviction, a man with nerves of steel, a fiercely patriotic Irishman, with a fierce determination to bring about an end to British rule in Ireland. Ruairí Ó Brádaigh, ar dheis Dé go raibh a anam dílis, my heartfelt sympathy to his family, his friends, his comrades in Sinn Féin Poblachtach (and to those who simply feel his loss and like me admired him from a distance). there were equally many atrocities committed by the forces of occupation. I see these don't seem to trouble you anything like as much since you don't mention them at all. When I see you posting about those too then I'll consider taking your comments more seriously instead of viewing them as just more tasteless pro british useful idiot propaganda on a thread intended to pay respects to a brave man who recently passed away. 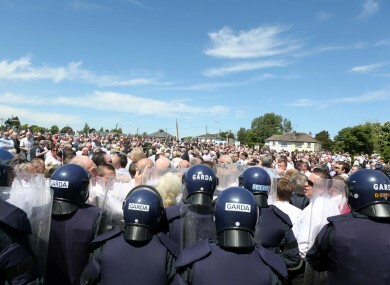 A dignified funeral, despite the efforts of the State. 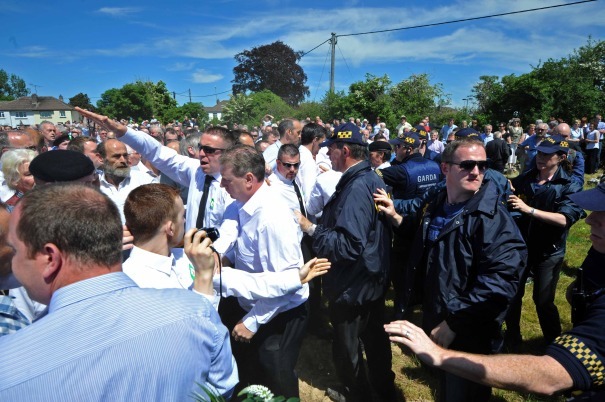 Ruairí Ó Bradáigh was buried today in a manner befitting his stature , despite the efforts of the State , armed and unarmed representatives of which repeatedly attempted to disrupt proceedings , disgracefully so. 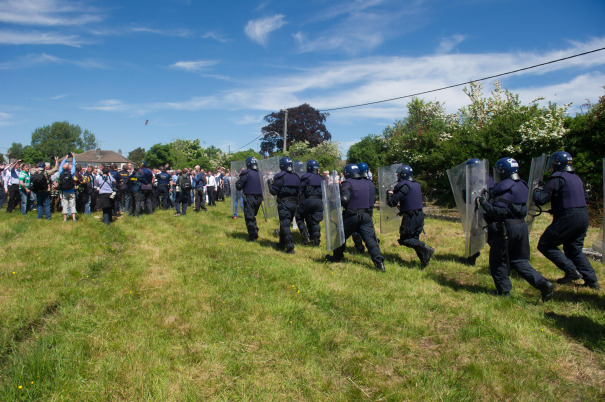 The 'Related Link' , below (from 'Facebook') , shows , amongst other pictures, how uniformed State representatives attempted to block the grave and prevent mourners from showing their respect. Ruairí Ó Bradáigh in 1954. You forgot to upload the pics of the skangers taunting the guards, looking for a confrontation. Well at least this terrorist/political dino is no more!